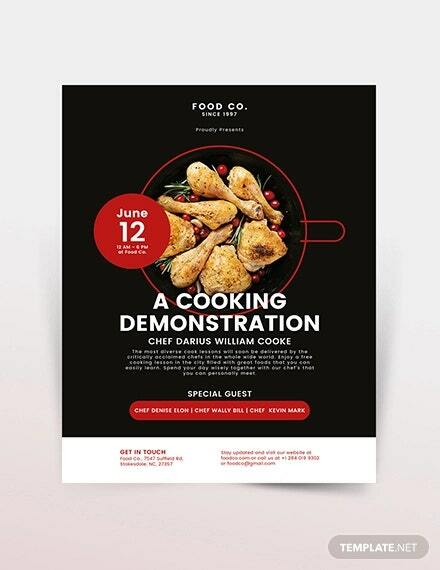 Cookouts are usually done to showcase the skills and cooking techniques of people who are to participate in the event. 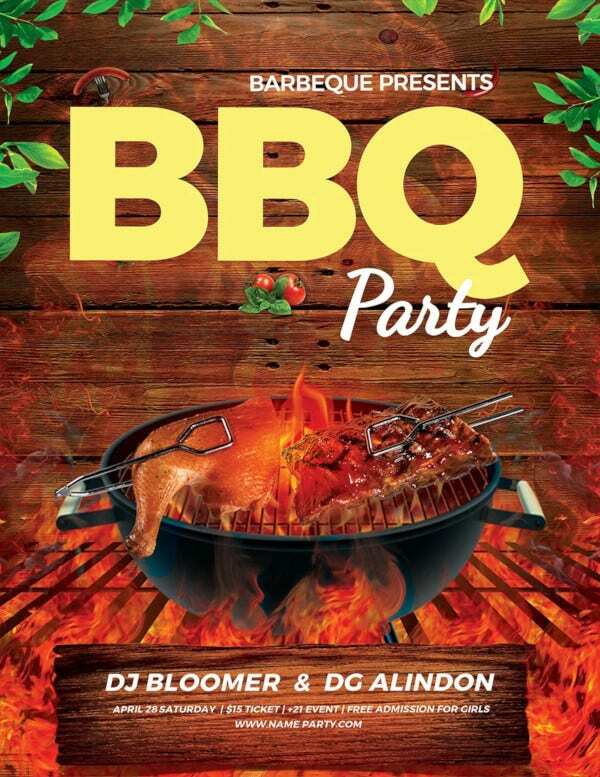 There are many ways that a cookout may be held, and it all depends on the function that it is to serve for a specific event. 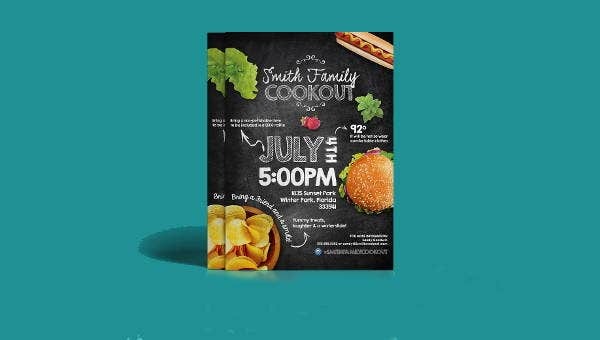 There are cookout competitions, and there are also cookouts just for gatherings and celebrations.You can also see flyer designs. 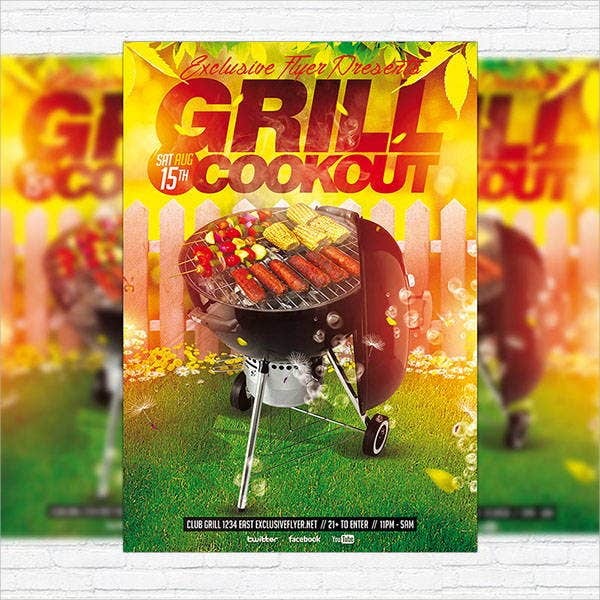 No matter what kind of cookout is to be done, a cookout flyer will be of great help in terms of providing the accurate information about the event. 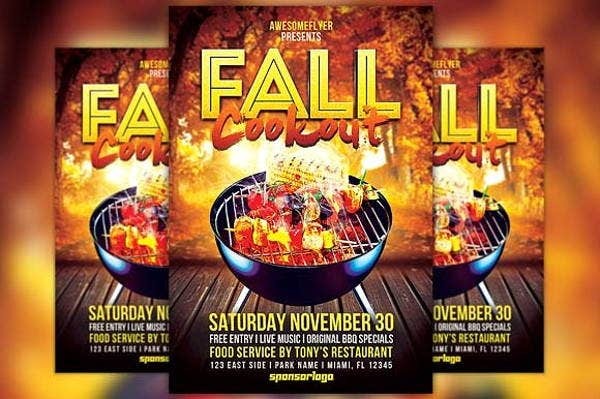 We can provide you with cookout flyer templates and other Flyer Template samples which you may use in other events and functions aside from a cookout. 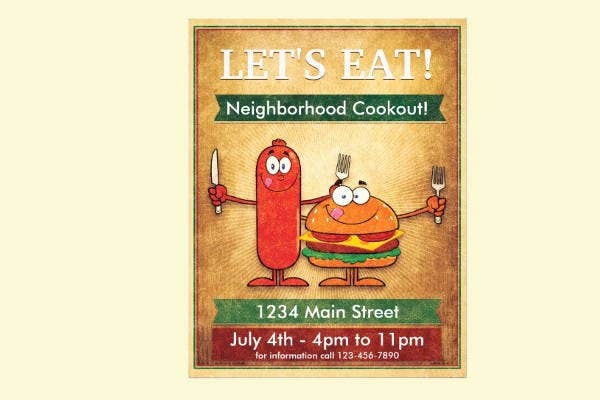 A neighborhood cookout is more of a gathering that a competition. 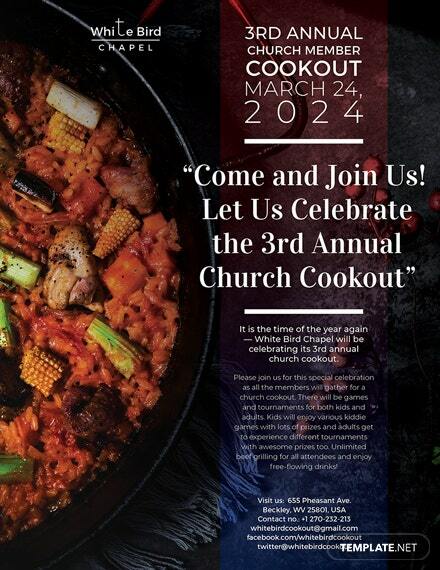 This kind of cookout is done to show the different dishes that a specific member of the neighborhood specializes at. 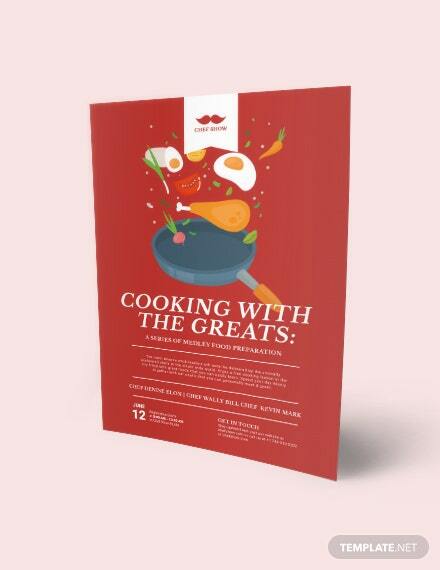 Usually, families contribute a dish, and the collective dishes are what all the people who are to gather is to feast at. 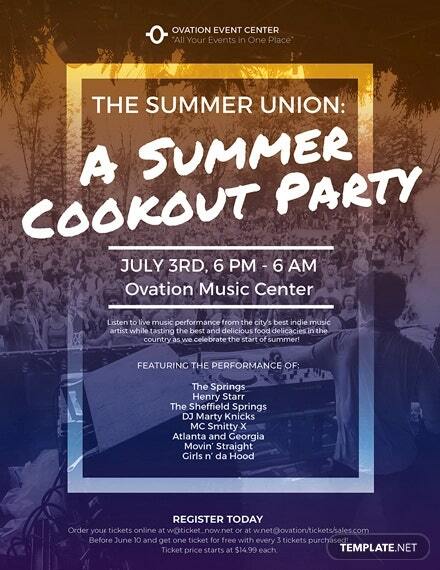 Summer cookouts are usually done so that people will have a social activity during their breaks from school. 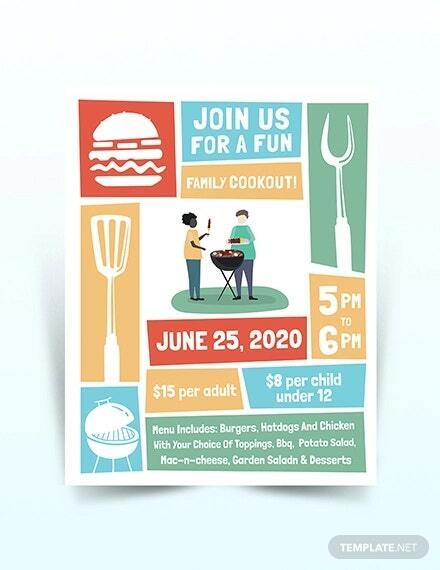 This is usually attended by families as they have more time together since the children do not have academic commitments during these days with the exception of summer classes, training, and summer lessons. 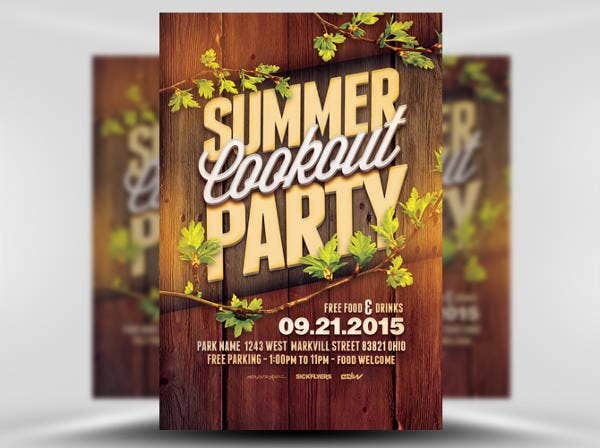 Other than our cookout flyers, we also have available samples of a BBQ Flyer and a Fast Food Flyer. 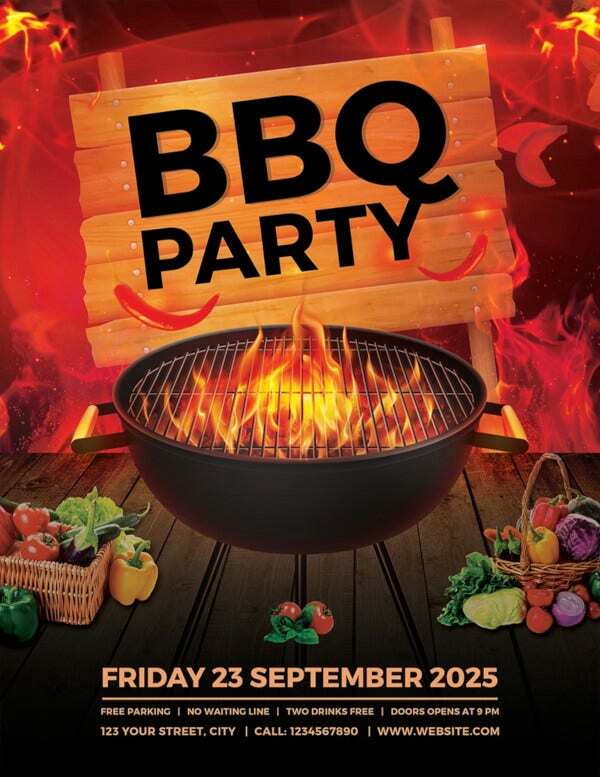 Assure that the design items that you are to put in the flyer is appropriate to the age or group of people you are to invite. 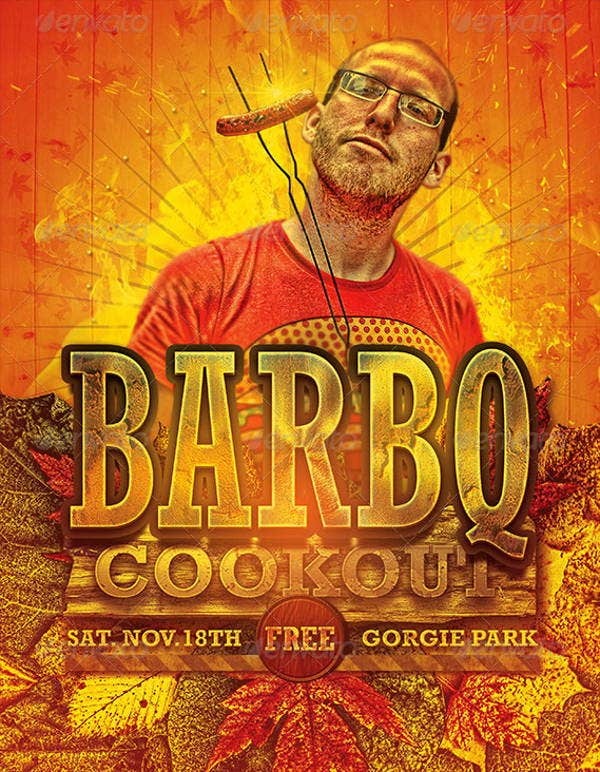 The theme of the cookout must be seen in the overall flyer design. 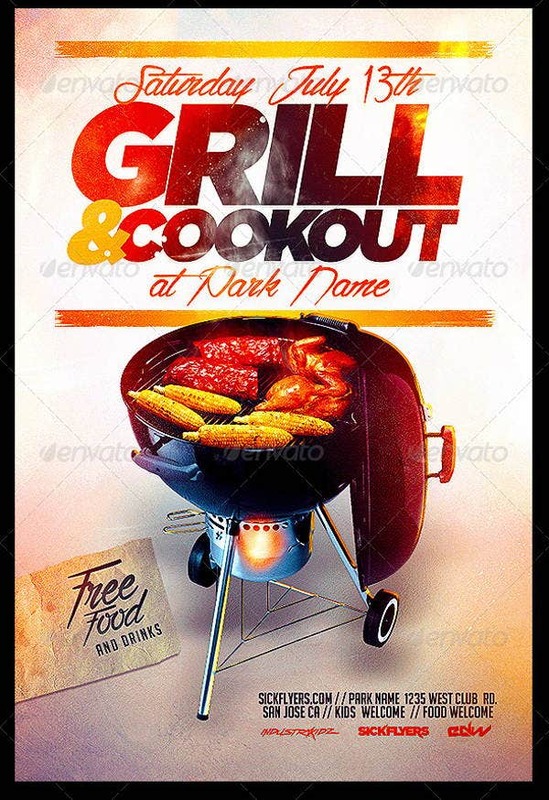 You may also incorporate the location or the activities in the cookout so that the theme and feel of the cookout event will be more seen in the flyer design. 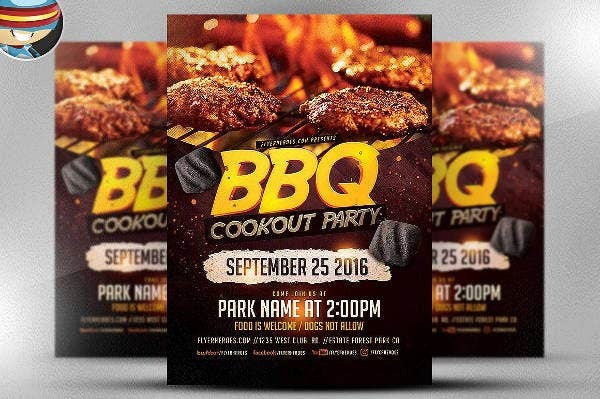 The information about the cookout must stand out as well as it is the reason why you are creating the flyer in the first place. 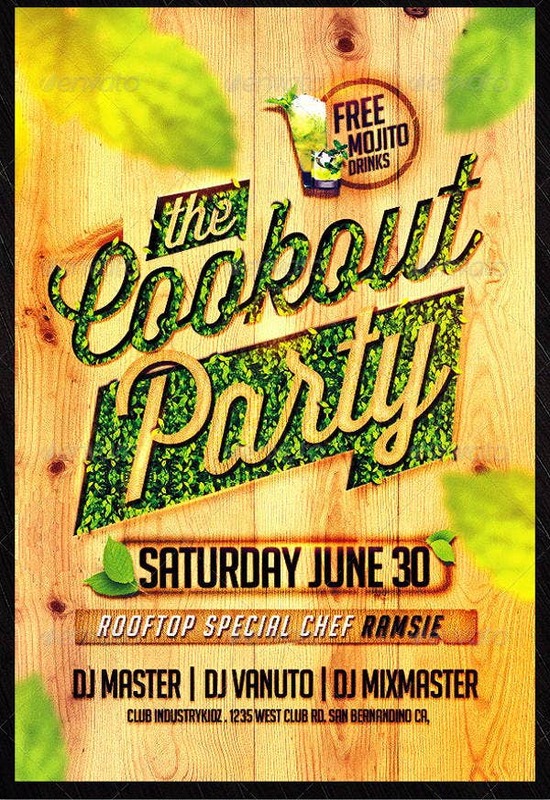 The colors and the background of the cookout flyer must be related to the event that is to happen. 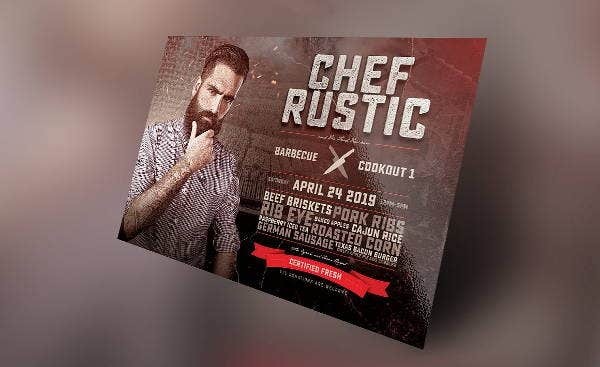 Should you be using a plain colored background, be sure that you make up in terms of the entire design by adding materials that will showcase the event’s details. 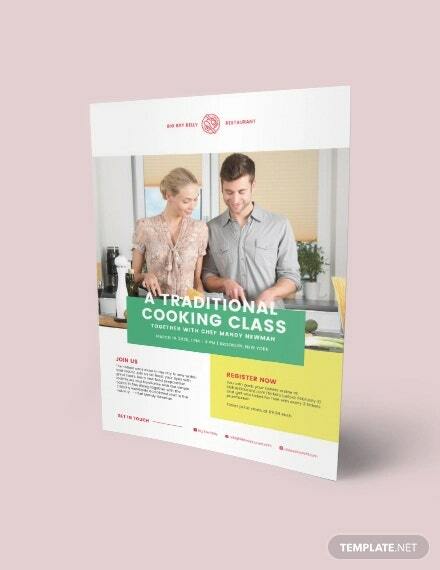 Other than our cookout flyer samples, we also have Restaurant Flyer templates available for download.